With bold, billowing clouds rolling in, the roughnecks that work to keep the rigs running breathe a sigh of relief as the heat of the day goes away. As a native of West Texas, Bob Callender was used to the daily sight of the various oilfield operations that fuel the Texas lifestyle. As the youngest child in a family of 10 children, Bob was also personally acquainted with the oilfield life watching his father and older brothers work hard to earn a living. From the time Bob was a young child he had a strong passion for photography. As his skills progressed, he was able to create surrealism in any subject matter he photographed. Being so closely associated with the West Texas oilfield scene, it was only natural that Bob would soon turn his creative eye to what was nearest and most familiar to him and turn it into an art form. 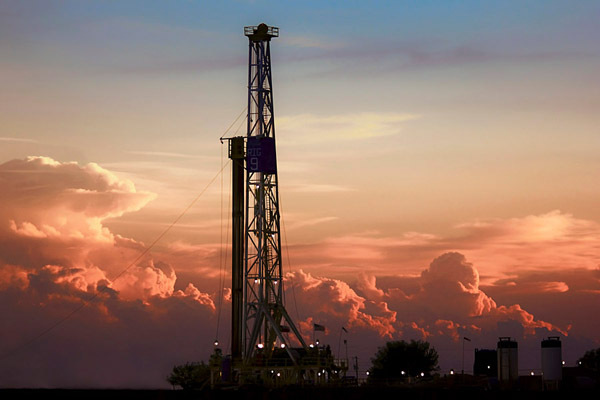 Using high dynamic range photography and photographic manipulation Bob is able to capture the essence and beauty of the rigs and any associated equipment using explosive color and dynamic skies that are unlike anywhere else in the country.